Presently serving as Chief Executive Officer Askari Aviation Services. Colonel (Retired) Amjad Mahmood has served in Pakistan Army for 27 years. He has held various command, staff and instructional appointments during his service. He enjoys international Aviation operations experience gained in various assignments with UN. A seasoned Aviator who is qualified on seven flying platforms. Alongside a Commercial Pilot License, he also holds Masters Degree from National Defence University, Islamabad. He is presently serving as General Manager ATW (Askari Travel Wing). 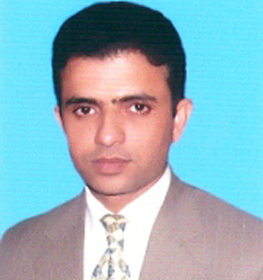 Mr. Changez Khan has been appointed Senior Manager/Head Askari Travels & Tours in Dec 2011. Previously he has been working as Manager Finance, Army Welfare Trust in its Aviation sector for 10 years. 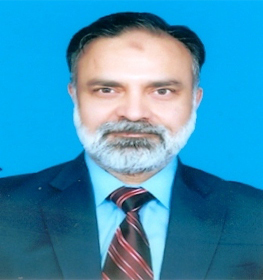 Mr. Changez is a graduate of Quaid-i-Azam University, Islamabad having Masters Degree in Public Administration with Specialization in Marketing & Finance and a Licensed International Financial Analyst from IRA Cambridge, USA.Prior to joining AWT he has served in Saudi Arabian Airlines, Islamabad from Aug 1998 to Apr 2001. He is a member of the Advisory Board of International Research Association, USA since 2008. He has over 16 years diversified and rich experience in leadership/managerial skills, airlines operations management, financial management, budgeting, feasibility analysis, training and policy formulation.